I lost my organ last night. It had been there a few days before but, last night, it inexplicably turned into a sitar. This wasn’t convenient. 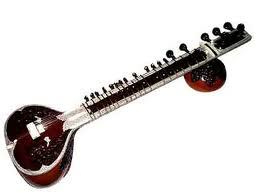 Partly because a sitar doesn’t sound anything like a Hammond organ but mainly because it chose to morph into the twangy ethnic instrument during the two bar count-in to Crocodile Rock. I needed my organ back quite badly – this was only the second song I’d ever played live. In a busy pub. With half my family watching on. A Bollywood version of an Elton John classic wouldn’t have gone down well. After much fumbling, I found my organ, eventually, but a little later I couldn’t find my brass section either. Instead, I inadvertently triggered a drum and bass groove. This surprised everyone – not least the drummer who looked twice at his kit and hands to check they hadn’t started bashing out the manic 4/4 rhythm without him knowing. If truth be told, these instances of sweaty-fingered patch scouring were simply a couple of minor mishaps amongst an evening of quickly brushed-over Les Dawson incidents which, I think, went largely unnoticed by those watching. From my point of view, forty-five minutes of music seemed to pass by in an enthralling, sweaty, panic-fuelled adrenalin rush. Six months of work for what felt like ten minutes of performance time. But worth every second. If, like me, you’ve spent the best part of ten years playing an instrument to yourself, your dog, or the potted plant in the corner of the room, get out there and play live. Trust me, there’s nothing quite like it. Regardless of how many mistakes you will make.